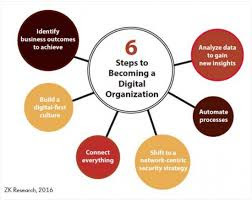 Musings 'n scribblings of a philanthrope .. : Digital Transformation in business..
how can we manage through these disruptions with minimum of change. How did we do train booking some years back ? I remember standing in the queue at Madras Central station to book a train ticket for the next day to Bangalore and get a ticket with details written in ink with pen about the bogie and the seat no. It was a pain then, I had sometmes to stand for more than 3 - 4 hours to just book a ticket. Contrast it with what is happening today. I open the irctc.co.in website, give my credentials to log into my account, give my origin and destination stations, with date of travel and class, and lo, the list of 10-15 trains do appear on my screen, right from early morning to late night, with travel time, route, stops, fares and so on. In the comfort of my office or home, i can decide which one to accept and make the payment, again digitally by a credit or debit card and get confirmation by email of my ticket. I never have gone to railway station to book a ticket, even if I am at one of the railway stations, I prefer to do an online booking than stand in queue and do the booking. This is a good example of how train ticket reservation has completely transformed from a physical process to a completely digital process, where I do all the actions digitally. Similarly air travel is one of the areas where all transactions take place digitally, even if i want I cannot get a physical ticket on any route these days. 2. logging into our bank website securely and transfer money within accounts or across banks using NEFT transactions. 6. If I have to send a notification to the class, earlier we used to put it on the college notice board for all to see. now we just type it to our whatsapp account to the whole class or the class representative and within seconds, it reaches everybody. If we need a permanent record, we type it on the google drive and share the link through Whatsaopp. 7. Car booking through Ola or Uber is done entirel;y hrough the web app over the Internet. 8. Purchase of electronic items, expensive electronic gadgetry at an attractive price, we make the purchase over the net and make the payment online through debit or credit cards, which will be delivered in a day or two. 10. Movie going also has become digital as I visit Bookmy show and make my bookings online and just visit the theatre at the required time to watch the movie. 11. Ten years back, I started offering supplements to my classroom teaching through a digital platform called MOODLE (Modular Object oriented dynamic learning environment). This e-learning software is the backbone of my effective classroom delivery helping me in offering quizzes and online assignment submissions too. The purpose of my listing my digital rendezvous is to make everyone realise , willingly or unwillingly we are all on the digital bandwagon. The earlier we realise this truth and change our actions, interactions and thinking, better for us. Else we will find the going tough and cumbersome. 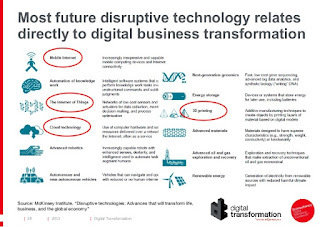 What are the societal pressures which warrant digital transformation ? least disruptions to existing systems. 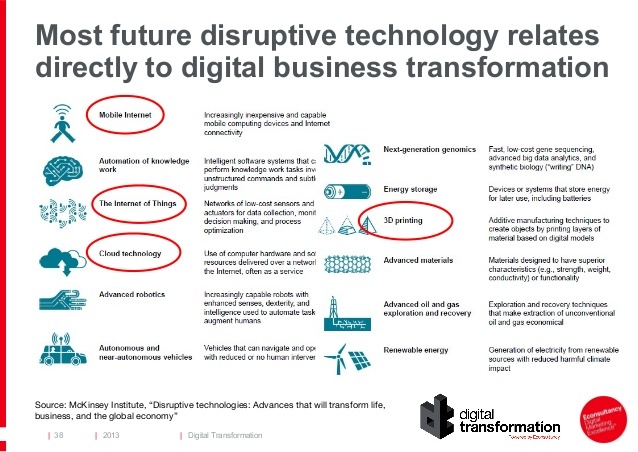 What are the skills needed to effect this digital transformation ? The final takeaway from effecting digital transformation in our life and businesses through either SMAC, ie. social, mobility, Analytics and Cloud to IBIBG (Immersive tech, Bigdata, Internet of Things, Blockchain and Genetic Engineering) is that all these actions open up new ways by which we can bring new innovations in our lives and the society around us, making our lives more enjoyable, healthy and lively.